Love your books, but hate clutter? The struggle is real! Keep your luxurious Isabella apartment looking great with these reader approved book storage ideas! A head or footboard shelving unit is a great addition to any avid reader's bedroom! Instead of purchasing an expensive bedroom set, use an Ikea DIY. Use tall shelves at the head and a long short shelf at the end of the bed. The shelves covered by your bed are great for hidden storage! Raising your bed is another great idea for readers with lots of books. This is a simple solution that comes together quickly. Just purchase three cube bookshelves and plywood like in this DIY. Adding book storage in your living room can be as easy as purchasing a few bookshelves and filling them. But when you live in an apartment, there isn't always room for the number of bookshelves an avid reader needs. If you have an open concept floor plan, using a tall, backless bookshelf can function as both a room divider and storage for your books. Having stacks of books around your apartment may add unwanted clutter. 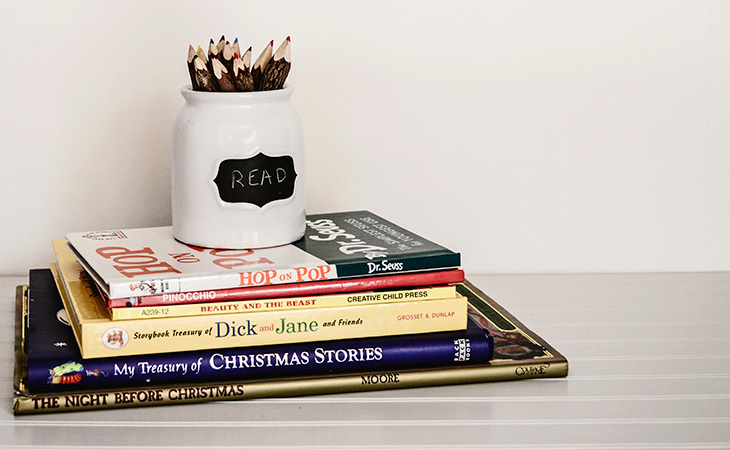 But, stacking a few books on desks, chairs, or end tables around your apartment produces great accent pieces, while also using up some of your books which may not fit on your larger shelves. Top these short stacks with a vase or small lamp for an added pop! An old wooden ladder from the flea market can be an attractive addition while providing unique book storage! This solution requires minimal space and can store 10 to 15 books per shelf. Save your walls by adding some felt on the side that leans against the wall. To keep the books from falling through, attach a couple lines of fishing wire to the back spaces of the ladder. If having just one bookshelf isn't enough, it's time to get creative and turn your reading chair into its own storage solution. This DIY library chair is a must for anyone who loves to read! This chair offers you a cozy place to sit and read, while holding approximately 300 books within arm's reach! Stack books from largest to smallest on end tables and add a small lamp at the top. Wooden spools can be used as end tables and small bookshelves. Get a library card and borrow books instead of buying them. This will save you money and space in your apartment. Try some of these solutions (or all of them, if you really love to collect books) and get your collection out on display!